We left the Flagstaff area for a while to try our luck at the Grand Canyon. So far, so good! On the side of a motel on Route 66, Flagstaff. I don't know the artist. We spent fifteen days at a site further back in the woods: here. If you like knowing the coordinates, they are 35.070419,-111.662449. This was a good site, despite the freak paintballing incident. Very light ATV activity, and what there is seems to come from the nearby community of Mountainaire. Good hiking, good walking, good sitting. We saw one NFS truck. A guy jumped out, pulled up a numbered sign (officially decommissioning a road, I think), and drove off. When we land in an area I like, I start fantasizing about a Tiny House on a Huge Piece of Land. But, I also want to keep boondocking full-time. I want it all. We're staying at Three Pines. I named it that. It's a flower, I guess. Along 64, from Williams to Tusayan, is a lot of empty land. To the east, someone has put up a sign that's just barely legible from the highway; it says "FREE TO BE ME by Vonshtain." It's a book, and I'm intrigued by why the sign would be there. A fan lives there? Vonshtain lives there? Any ideas? This is Lily. Her entire life, when she sees a camera she develops a palsy. I have 679 pictures of Lily, none in focus. Annie fooled her by using her phone. Lily was expecting a call, not a portrait. I have a question for bloggers: how do you feel about a popular website whose main content is your blog, and who sells advertising based on your writing? In exchange for them "hosting" your articles, you provide advertising for them on your blog. So I'm clearer, you are providing their content (for free). They feed your entire post to their site, and you pay them by putting their badge on your blog. Your articles get much wider coverage than they might otherwise. However, none of the traffic moves to your blog, because the entire content is over there and there is no need for readers to click. You don't know how many people have read it there. I don't mean that the content is stolen, by any means. You have signed up for this arrangement. I don't think I mean this nastily. *checks snarkometer* It's just a question that's been lingering around my lobes, and if I don't ask you, who am I gonna ask? Perspective check, please. The flower is a lupine. As far as the blog kabogle.... what would the benefit to you be? I'm thinkin and thinkin and can't think of any! Lupine! Thank you. That's pronounced "loopin'," right? I've never seen one wild, I guess. This is what I'm wondering. Although, I checked again, and something I've done in Feedburner truncates the post there. So, people could click through, or they could get bored and not bother. But, I don't see traffic coming from there, ever. Love the mosaic especially if it's near 3 Pines along with all those colorful flower/birds. Why give all your blogging away? Guest post maybe, but I don't think I get this. Yeah, this is what I'm thinking. Lots of bloggers sign up for this network, and it doesn't hurt anything, but I'm also wondering why we're doing it. Clearly, the advantage is theirs. Unless there's a backlink to your site it isn't worth it. Well unless it's set and forget then it doesn't matter. But still it gets you nothing. You'd be better off writing a few articles to article directories, linking to a blog post on a similar subject. If you want send me the details and I'll check it out further. I used to be quite the article junkie. Really like the mosaic....I'd say NO to that website. K.
Lu (loo)-pine! Monty Python did a sketch about lu-pines. And I love gratuitous cats! As always, love the post. You gals ROCK! The mosaics are beautiful , I'd love to visit "3 Pines" one day. Have another NO on the website question. You may call her flower if you like, but I'd call her a Red Crossbill. Of course, since it's a female, I'd probably just call her cranky Wilhelmina. :) No doubt she's miffed because people call her a red crossbill when she's yellow. Go figure. This is such an educational blog I can't see why in the world you should give it away for free. 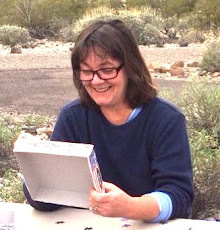 Look at the great vocabulary lesson -gratuitious - the travel aspects of unique campsites with interesting names, current events reporting like decommisioning of roads, art reviews and the birding and flower id information (even if it does come from your commenters). Definitely this plethora (I believe I learned this big word here too) of information should not be given away for free. And dat's da trooof. Yeah , it does seem that there isn't any advantage to doing this. I think that I know which site you're talking about and I don't read any blogs on it, even the ones that I read all of the time. It's a better experience to read the actual blog. I don't have a clue as to why anyone would want to allow that done to their blog. Not a clue. Pretty kitties. The only thing I like better than kitten pictures is CAT pictures! Good looking kids you have there. Love Three Pines...and you already do have a tiny house on a big piece of land. Which site are you talking about anyway??? Major league NO here. I write my blog because I like to for me, not to help someone else make money. Can't believe people actually link to this guy's blog, I know which one it is. It was a hot button discussion on RV blogs and forums last year. See, this is why I have a comment section. I wake up and already there's a plethora of information waiting for me. Monty Python! I had to watch the skit before I could go further. Paul and Marti, that makes sense. I don't know who runs the site; does he also have his own blog? Karen, I was going for "discreet and coy," but it doesn't suit me. It's the RV There Yet network - you can see the badge on the right sidebar. Thanks about our kids! They take after both of us. We DO have a tiny house on big land. It's true. And, I already know about myself that I would get tired of the tiny house, and the big land, and the sameness. Thanks, Sandi! I guess for a blog starting out, it's good to get readers one way or another. However, now that I'm finally thinking about it, the sites that just point readers toward a blog, rather than using their content, are really a fairer set-up. I don't mind reciprocity at all. Karen, is Yahoo! Voices sort of an article directory like Maria mentioned? So, if I wrote a worthwhile how-to article, then I would link back to my site. I have a basic idea how that works, like with Suite 101 or eZine, but I'm fuzzy on the details. Sherry, without commenters, this blog would be a plethora of pointlessness. At least that site doesn't get that. Last night, after I wrote and published this post (naturally), I looked again at the set-up. I realized that RV There Yet is constrained by the way I configure my feed. So, since I had set it up to be truncated, it's truncated there, too. I think that might be better ... ? If someone does want to read it all, they can click through. Judy! I knew you would come through! With a joke, no less. Okay, I can remember that. I told Annie it was one of those [hands crossed in front of my nose mime], but that's hard to say in writing. And grotesquely imprecise. C4L, thanks! I love the mosaic, and you are welcome to visit Three Pines! My advice, so far, is to get here ahead of the long-weekenders. We watched at least three rigs come past in the dark, slow down, then move on. It happens to be the best big-rig site around (we checked), so we felt bad for the people who were disappointed this time. Thanks, Page! I love Monty Python! Thanks, Kelly! I'm leaning toward making it a fairer trade, if I don't pull out altogether. I like reciprocity, and I don't think this is that. Thanks, Maria! I'll send you the link. I signed up with eZine, then I failed to follow through because they started sending me tutorials. I used to think I could fight my way past a dangling participle, but those tutorials sapped my confidence. Yes, it's definitely "set it and forget it." And, I don't think it hurts anything. But, yes. As you say, it gets us nothing. Any of us. I think, if you can name your camp site anything you want, you can blog about anything you want, you can put it any where you want. If you're not seeing any benefit from doing what you're doing, you should stop doing it. That's true for a lot of things in life, isn't it? I'll be the spoiler here and name the site everyone is talking/asking about - it's 'RV There Yet'. When I discovered this site a year ago, I was curious thinking it might be like Hitch-Itch which is really good. But, I thought RV There Yet was a really dumb idea for me as they used my published blog which meant no one ever had to visit my actual site. I quit the site after 1 day. It's a great deal for them but I see no real benefit for us bloggers. Two Thumbs Down from me!! If I had 3 thumbs it would be Three Down! Thanks, Rick! I found your review on Google and left you a message there, two years late. Do you think it makes a difference if your feed is truncated so readers must click through to read the whole thing? Good point, Russ. If it's not fun, why do it? About Yahoo!Voices - yes , it does look like it's an article directory. The man whos blog link I posted above has written 601 articles and has had over 2 million page views! His blog links to the articles but I can't find a link from the articles back to his blog. The blog may have been an afterthought to get more traffic to the articles. Thank you for the research, Karen! I'll look into that. I'd have to write something sensible to fool people into thinking it's worth reading me again. ... and don't we all... want it all, I mean! We people are funny like that. Thank you! All this stuff makes my hair hurt so I'll just say pretty kitties and that's a lupine (yes, "Loo Pin")!! I find cat photos necessary. Donna, my apologies to your hair. Sometimes I say things that hurt the cats' hair, too, and I have to bring them lupines to make up. I'm glad to hear you say that, Mary, because I got a million of 'em! Evading Popular Websites' attentions has never been a problem for me. I fly under their Popularity radar. Love cat pictures...I'm a total sucker for them. Haha, Nina! Yes, I agree, and all the votes agree with you, too. For now, I've decided to let a short, 300-character feed go out to RV There Yet network, so that readers can click back here for the full two scoops of raisins. The site does provide links back to blogs, but if the full content is going there, there's no reason for anyone to go to the blog. "you can call me flower if you want to" was driving me crazy because I could hear the voice in my head! Thanks for the Bambi reference, it made me smile once I figured it out! It really wasn't fair to hook it to a bird. That alone probably threw you off the trail for hours. I checked out RV There Yet and have to say my first concern is duplicate content. When I first started "learning" about blogging, keyword research, etc. I started with sites like Squidoo. There were article directories there, but I never ever used the identical intro paragraph or title when dropping a link to my real article. RV There Yet has the identical intros, just like your own blog post - so the same content actually exists in two places, word for word, on the web. This could actually HURT your blog's rank in the long run, as google is cracking down on unnatural links (links from other blogs is good, lots of links from directories is bad). Your blog is only going to grow and grow...all on its own. For the affordable cost of paid hosting with no strings attached and the safety of owning your own real estate with your own domain (not blogspot)...you would be on your way to having your own site on your own terms. I know it makes the head spin...for us, we bought our domain, set up a wordpress.org blog, get hosting via Hostgator and are free. At a minimum, I would absolutely not allow the entire post to be on their site! 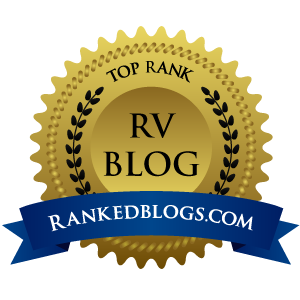 I can't believe how many rv blogs are allowing this...you're right, there is zero motivation to click out! People stay on RV There Yet and get to read full posts from scores of rvers...why would they go anywhere else? Hey, you two. You make a very compelling and novel case for pulling out altogether. 1) people already find us here. I feel like some of our blog friends would go to the trouble of changing their bookmarks, blogrolls, etc., but many wouldn't. I could deal with that, as it's an organic process, but I might be sad for a while. 2) I don't know who to buy the name from. 3) I use Blogger's blogroll to see that my own friends have written something new. Does Wordpress have such a gizmo? I'm sure bloggers have covered these topics well, so I should just start investigating again. Yeah? Tell me "yeah." I am actually not the greatest resource when it comes to the ins and outs of computer stuff...but I do know, for the sake of investigating it yourself, that wordpress.org has a plugin that can "easily" transfer a blogspot blog over to wordpress (buy you have to buy the domain first, etc). We always buy a domain cheaply through Go Daddy...tons of coupons out there in a Google search. But it would be a big project to tackle...guaranteed...and life is supposed to be simple, right? What about taking your time and starting "goodluckduck.com" at wordpress. Slowly create it at your leisure...leave this one open but with a widget at top announcing the new place in the future? We do also have a Wordpress blog for "just in case." I've heard the scary stories, too. I back up frequently. So, I went through Blogger instead of trying to piece together. $10 includes registration privacy, and the plattform stays the same so I don't stress.